This full-time REALTOR® has been helping families move into their dream homes for over 25 years! As a life-long resident of Evansville, she is very active in the community and knows the area well. Amy graduated from Purdue University with a B.S. degree in finance. Since then, she's been a Multi-Million Dollar Producer and a President's Club and Executive Club Award Recipient. 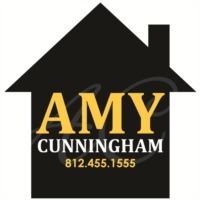 If you want a professional, ethical and knowledgeable REALTOR® who will negotiate the best possible real estate deal for you, then Talk To Amy Cunningham at (812) 455-1555!